This content is sponsored by CarWash College. Sponsored content is authorized by the client and does not necessarily reflect the views of Professional Carwashing & Detailing. Making hay when the sun is shining is what we all aspire to do. Cleaning up hay three days after it blew out of a truck bed isn’t. What a Long, Strange Trip It Has Been …. 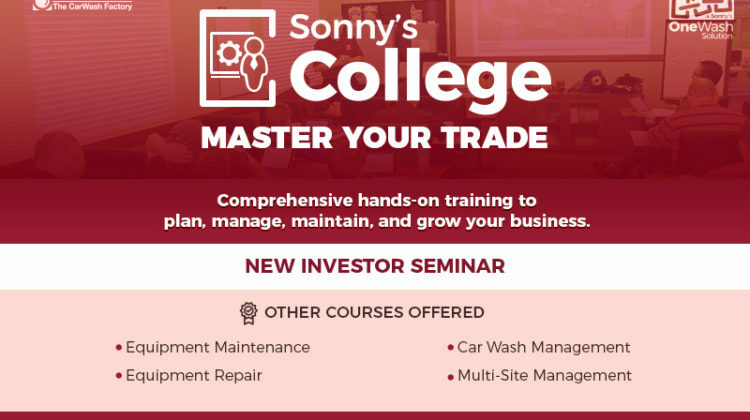 CarWash College has expanded and now hosts classes on the West Coast. Plan out a schedule that will allow you to take advantage of the slower summer times. Have you ever sent handwritten notes to your mailing list? Are we making carwashing great again, or are we making it great for the first time? In the business of cleaning, can you afford to be dirty? Carwash sales increase during the winter, and to avoid downtime, prepare now. Put yourself on the same level as your competition and start promoting for the holidays. Ways to build and grow the infrastructure of your company so you can more easily manage growth.